It's plain to see that Lego has proven very stubborn since the 2000s up to now, to ONLY sticking to vehicles, so I know that whatever contraption I'd love to see in the form of a Technic set (like the T-Rex from 8485) is only wishful thinking, since Lego would just rather do ANOTHER crane truck. I swear, crane trucks (as good as some of them are, like 8110) are the Technic analog to Police Stations in the City line. So, let's separate the wishes between vehicle and non-vehicle, since the latter we know have a next-to-nothing chance of appearing. - A minifig scale wrecking ball machine! - a 3000 piece great ball contraption! A clock with lego? Why not? I don't mind having a lot of vehicles though other things would be cool too. I just don't have any ideas what they could be. GBC is a great idea but i think it would fit better in to Creator theme. Power functions should be taken further. I would really like an radio controller/reciever now that we have a servo motor. IR is just too limited for faster things. That being said a fast RC car made out of traditional pieces would be in my wish-list. Older ones don't have a lot of room for customisation with their very specific parts. If someone already built it please let me know, I'm really interested thanks. The b-model is a motor grader. Anything that walks would be great, really. There are walking excavators, for example. Or an AT-AT-like quadruped. Or a biped. Or a Tachikoma. Or a fantasy contraption. Anything goes, really, because walking mechanisms are interesting by itself. Anything organic would be cool as well. They've done a T-Rex before. As far as vehicles goes, all I want is a mobile folding crane. That hasn't been done before. I swear, crane trucks (as good as some of them are, like 8110) are the Technic equivalent of Police Stations in the City line. I would love to see skid steer or a small stracked loader, fully RC. Oh and more universal sets! Here's an image for those who haven't seen it. I meant a LARGE road grader. Flagship size would be nice, but I'd be happy with a 700 piece one too. And I'd prefer pneumatics to LAs. Isn't it what the 8043 B Model is? 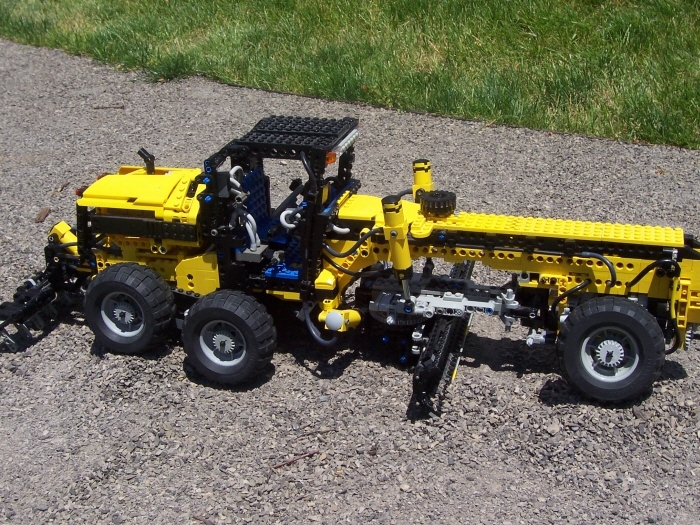 Has anyone here ever built a moc of it? An American Dump truck, or a fire truck. 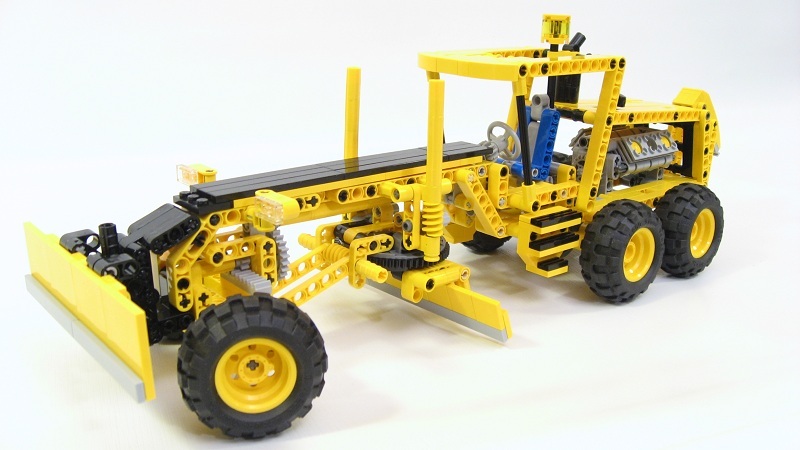 SeTechnic also ran a competition last year to build a road grader (link). Non-vehicle: I'd like to see some sort of RC walking animal, like a six or eight legged insect/spider. Hi, thanks 4 answer, I was looking exactly for that. Looking so real and wanna have a deep look at them. I would like to see a garbage/recycling truck. You could have functions such as a fork lift on the front to pick up the bins and put them in the back end, then a blade to compress the trash. You could also have a lift on the side. It might be interesting. For a non vehicle, a kangaroo crane would be very interesting as it could literally build itself up. Someone was building one of the most awesome fire-trucks I've ever seen. Some none-conventional use of those compressor pumps but he did manage to get water flowing through the Pneumatics. That's on top of the wish-list. - PF Control center, preferably without those pesky battery-packs. I thought you wanted a bucket wheel excavator? I am happy for any constrution vehicle. I would still like one of those too! It is hard to think of vehicles that haven't been done and would still work under the rules lego uses for its sets. Another set with pneumatics would be nice as right now the unimog is the only set I have them in and it would be nice to see more of them in upcoming sets. If Lego really loved me, They would put out a mobile crane, bulldozer, cement mixer, front end loader and a excavator all in lime green and purple. Just imagine what would happen when you combine them. My main 2h 2013 wish would be a forklift released as a flagship/top-of-the-line-set forklift(for next year). Last I recall haveing seen a proper one was in the Forklift Transporter, where the forklift was extremely plain. Functions should/could be something similar to 8043 five/six functions dependig on where we count switching the gear box. * 1 big pneumatic cylinder for tilting the mast. 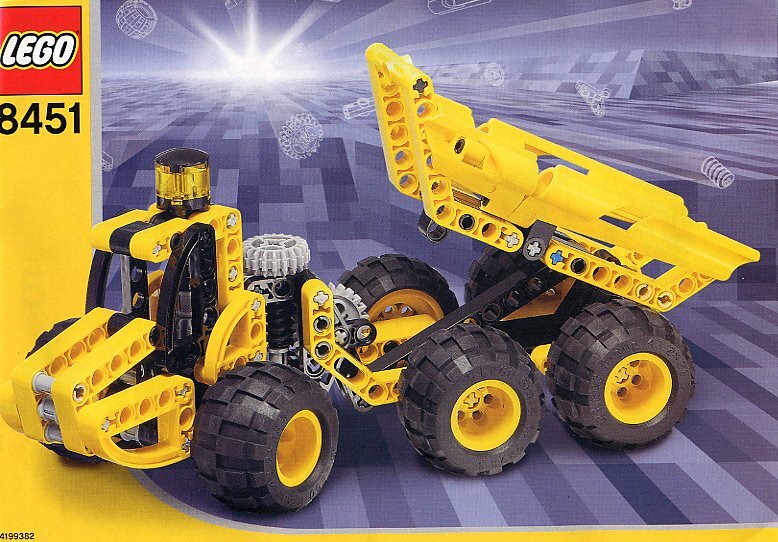 *The technic design team is know for a too strong liking one constructions machines as technic sets. *Only the pf-pneumatics-electro-valve and the extra long pneumatics cylinders are new parts. 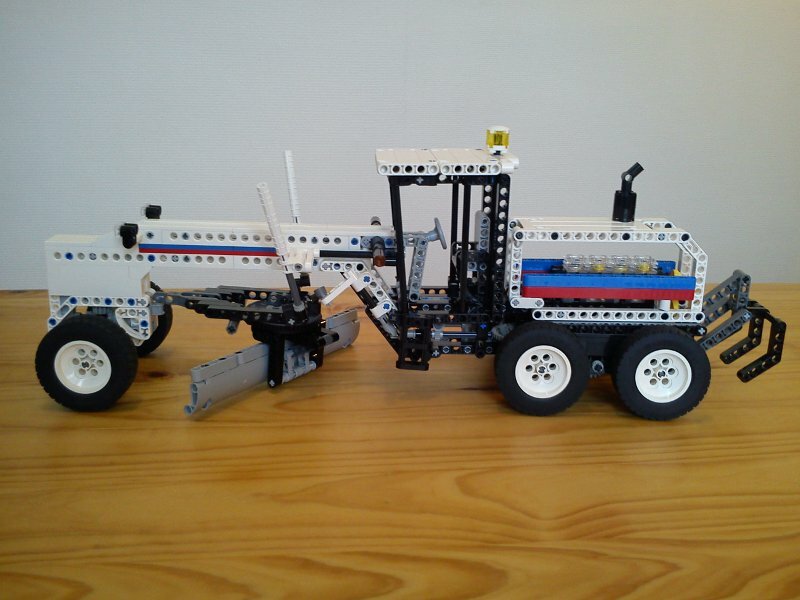 That whould also fit LEGO's refurbishment/expansion of the pneumatics line, as they started on during the unimog. This was the last forklift we recieved from TLC.. It was not motorized, but it was a rather good model otherwise.